The Oliver Oak Stool Tweed Fabric is a classic design that will infuse your interior with modern country chic. With its traditional characteristics, the Oliver is a timeless piece of bar furniture with versatility and simple, understated elegance. 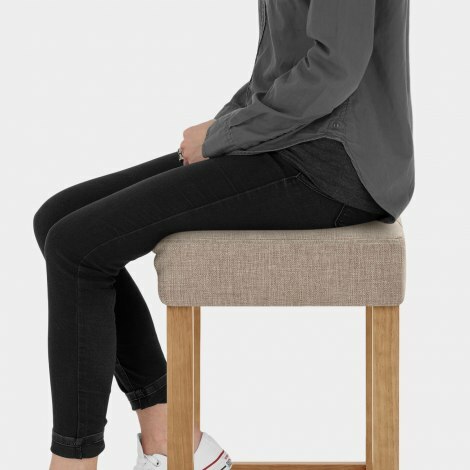 A subtle square padded seat makes a modest impression, with trendy tweed fabric and grid stitch detail giving a rustic vibe. Backless in design, its sublime structure sits at the ideal height for kitchen counters and breakfast bars, and can easily be tucked underneath when not in use. The robust frame combines four solid wooden legs, each exhibiting a charming oak finish that complements the seat. 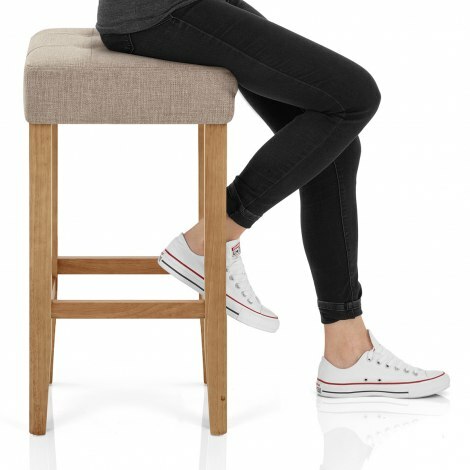 Additionally, the legs are connected by four bracing bars, which also function as supportive footrests. The Oliver comes complete with anti-scratch floor plugs, making it a great multipurpose piece. "Really pleased with them and the quality is fantastic"
We purchased the Oliver oak stool in tweed fabric. Nice product which appears to be sturdy. Pleased with our purchase. Fantastic next day delivery. Easy to build. So good we ordered the dining chairs to match!! Loved it so much I had to order one extra. Great delivery service as well. 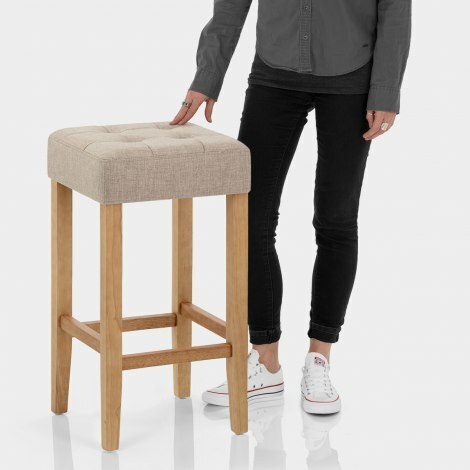 I have just added to my collection of these stools. They look great and are comfy to sit on. They are the perfect height for my kitchen island and are really stylish. This stool is the perfect height for my kitchen island. It is well priced, looks great and is very comfy. We have a solid wood floor so I was worried about scratching, however, I have had these for over a year with no problem, so have added to my collection. I definitely would recommend.